Alarm clocks are a common fixture in most bedrooms, but do they actually help us get better rest? 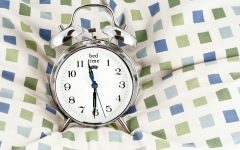 Let’s take a look at the history of alarm clocks and see what the experts think about their role in achieving healthy sleep. People have been using alarms of sorts to wake up well before clocks were even a thing. The morning sun was the original cue to rise and shine, and roosters have likely been crowing sleepers awake for eons. 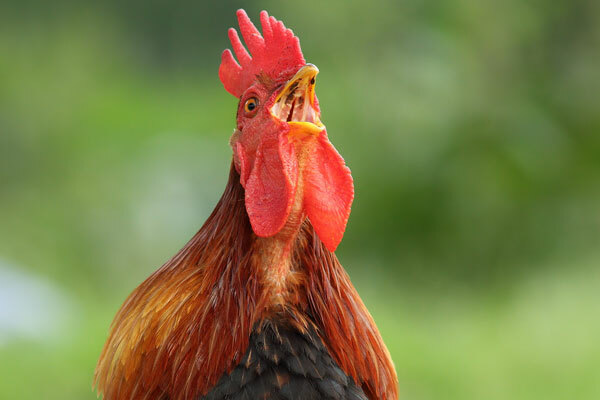 The rooster is one of the original alarm clocks. Plato is said to have woken up early with a clever device that used draining water to signal a whistle as the contraption filled, supposedly spurring the development of later mechanical time-keepers. Church bells have awoken communities for morning service for centuries, and by the 1300s, we can find descriptions of chiming clock towers in Europe designed to inform residents of the time. Later, booming industrial factories in the 18th century relied on an on-time workforce, and would sound morning whistles to rouse their workers living nearby. Some cities and companies even employed a “knocker-up”, designated people that would go door to door delivering wake up calls. Although existing as early as the 1500s, it wasn’t until the 1870s that alarm clocks started to become a common thing in private homes with the advent of the mechanical wind-up version. Over time, this fixture cemented it’s position in the bedroom, incorporating additional features like radio receivers, cuckoos, snooze buttons and more. 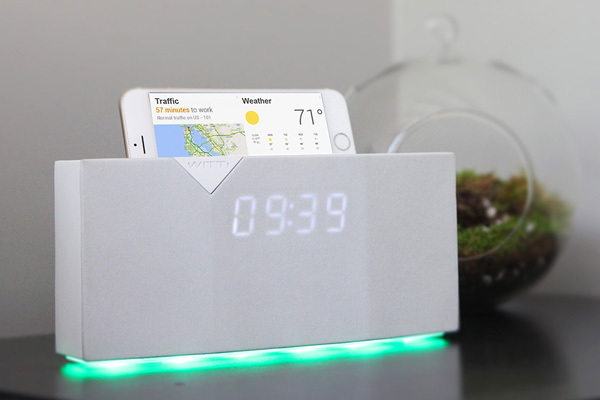 Modern alarm clocks continue to evolve, with everything from light-based alarms to clocks that run across the room, and even phone apps. With jobs, school and other responsibilities, waking up by a set time remains a must for the majority of us. So, naturally, many people depend on alarm clocks to start the day. But, are they really doing us a favor, or is this reliance on alarm clocks detrimental? Alarm clocks have been in use for centuries because they solve a real problem—ensuring we wake up on time. Their utility is undeniable, and many of us would probably have a hard time making it to work every day without one. “Ideally, a person will wake on his or her own when they need to each morning. These are the people who set an alarm but wake a few minutes before the alarm sounds, as if their brain has an expectation to be awake at a certain time. On the other hand is the person who needs two or three alarms to wake them. Our busy schedules and external influences like mobile phones, televisions, tablets, streetlights, neighborhood noises and a myriad of other stimuli can interrupt our sleep, which requires our bodies to demand more sleep and, in turn, lead to us waking feeling drowsy and tired. Without alarms, many of us would oversleep and wind up late for work. As great as sleeping in sounds, being on time is a (harsh) reality we often must abide. 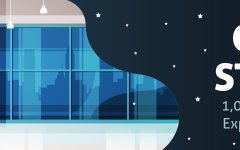 In order for business and schools to run smoothly, agreeing on a set time to be there can be essential, whether you’d like more sleep or not. Alarm clocks can also be helpful for keeping sleep schedules regular. Waking up around the same time each day is beneficial for our internal biological clocks. 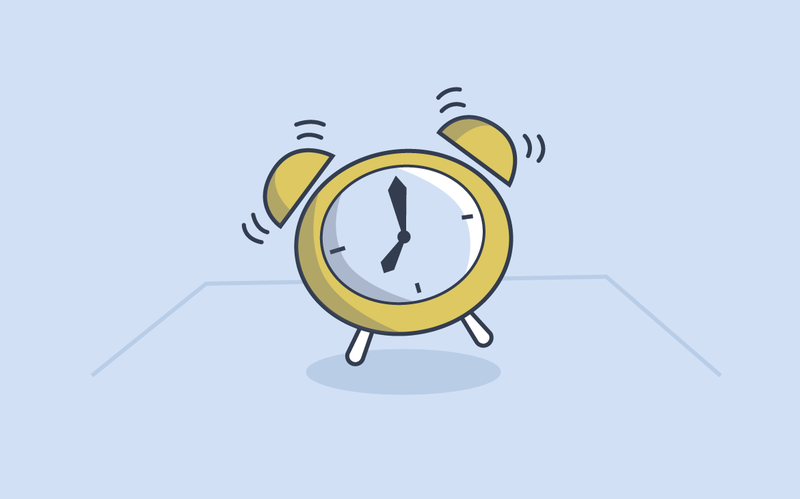 Using an alarm clock can help keep your schedule consistent and normalize your sleep patterns. However, alarm clocks aren’t always helpful; in fact, sometimes they can be counterproductive to overall health and even for getting good sleep. Sleep anxiety, or worrying about not falling asleep, can paradoxically contribute to insomnia. And, alarm clocks are right there helping, counting down the precious minutes of sleep left until wake up time. Most sleep experts suggest covering clock faces or turning them away from the bed so you’re not tempted to watch the minutes tick by. 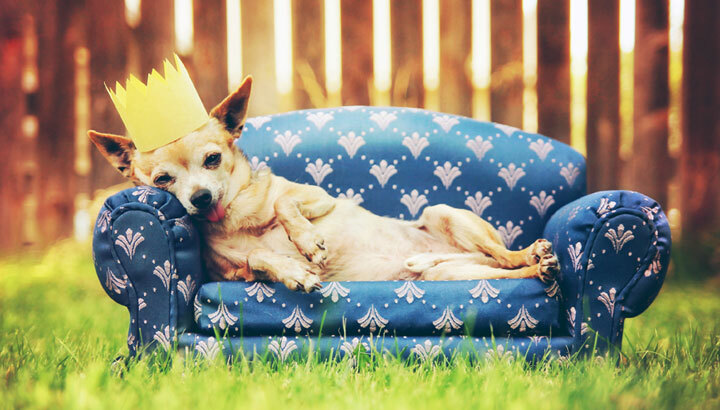 Levels of the stress hormone cortisol naturally rise shortly after waking for most people. Although there’s no studies showing alarms further increase cortisol, being startled awake by a loud alarm first thing in the morning certainly doesn’t make things more relaxing. Researchers are also looking into correlations between heart attacks and alarm clocks, due to their adrenaline-spiking jolt which can trigger the flight-or-fight response and accelerate heart rate and blood pressure. Social jetlag refers to the sleep deprivation many people experience as they try to eek by on less sleep in order to keep up with social demands. One large study showed that two-thirds of adults sleep over an hour more on weekends as opposed to weekdays, and that although wakeup times are staying the same, we are going to bed later. Researchers argue this is messing with our internal biological clocks, affecting sleep and significantly increasing risk of weight gain and obesity as well. Some alarm clocks have brightly-lit faces, and while good for seeing the time, researchers have found that lights at night can affect sleep. Following good sleep habits will help you wake up refreshed. So, is there a better way to wake up? The ability to rise the morning after a full night’s rest, without needing an alarm, is something plenty of people would prefer over blaring beeps. However, most of can’t just toss the alarm in the trash and tell the boss we’ll be in whenever we get up. Following good sleep habits and making sure you’re actually getting enough sleep are good ways to begin repairing your internal clock, though. Eating a balanced diet with plenty of nutrients, and drinking plenty of plain water during the day. Avoiding stimulants in the evening like caffeine, and moderating alcohol in the hours before bed. Getting regular exercise and some time in the sun (for Vitamin D). Sleeping in a cooler bedroom with a comfortable mattress and bedding. Minimizing use of electronics like smartphones and TVs before bed, and keeping bedrooms as dark as possible during rest. 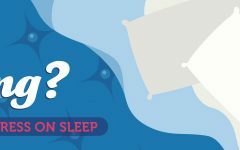 If you find it impossible to wake up in the morning without an alarm or feel groggy after waking fairly often, take a look at how much sleep you’re actually getting. And, when sleep experts say you should get seven to eight hours of sleep, they mean actual sleep, not just time spent in bed. If you tend to take a while to settle in and relax, factor that into your allotted bed time. For example, if it usually takes you around 30 minutes to get in the zone and you need 7.5 hours to feel your best, aim to be in bed at least eight hours before you need to wake up. Turning in with time to spare can also reduce sleep anxiety, so you aren’t counting down the time on the alarm. If you find it takes a very long to time to fall asleep or you wake often through the night, try instituting earlier cut-off times for things like caffeine and electronics, or incorporate stress relief habits like deep breathing, stretching or mindful meditation before bed. If you’re one of the many that can’t wake up on time without an alarm, it might surprise you to know that we all actually have an internal alarm of sorts. Researchers have identified biological processes that signal to the body when it’s time to get drowsy and when it’s time to wake up. The best way to support this natural rhythm is keeping a regular bedtime and waketime. People on regular schedules often find they wake up before their alarm even goes off, for example. But, there are several things that can throw our internal clocks off, including aging, shifting schedules, and travel. So, alarm clocks aren’t all bad, and for a lot of people, they are very necessary to maintain a regular schedule. Other sleep researchers concur, suggesting that hitting the snooze button actually sets you up for groggier mornings, and can even make you feel like you had a worse night’s sleep overall. Use your alarm clock to stick to a regular schedule, as this will be most helpful for your body’s internal clock. A few companies and app developers offer takes on gentler versions of morning wakeup calls. 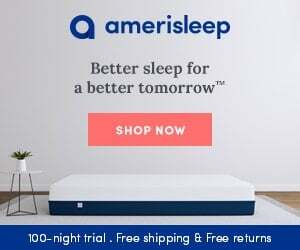 From rousing you with bright light or vibrations to aiming for a more ideal wakeup time in your sleep cycle, you might find one of these solutions help you wake up on time without the headache inducing bleating of a traditional clock. Several free or inexpensive apps can be found in both Android and iOS stores, and companies like Philips and Lumie make popular wake-up alarm clocks. Turn the face of the clock away from you to help you let go of looking at the clock. A clock with blue numbers is preferable to red. Try an app or alarm with soothing sounds to wake up so you don’t jar yourself awake. 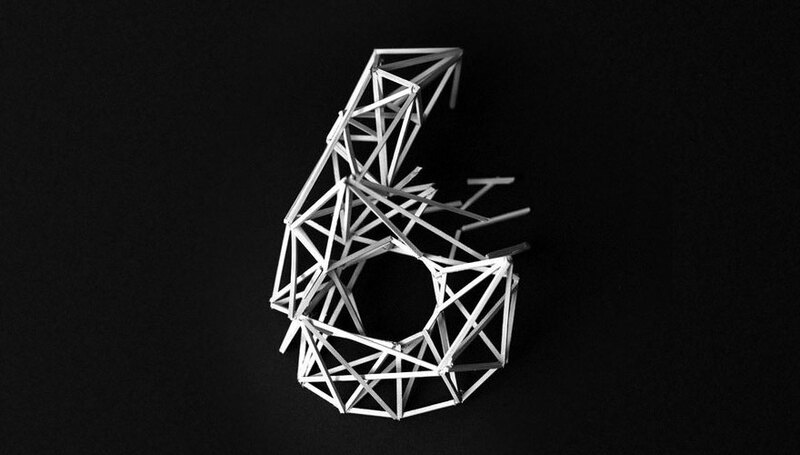 “A normal night’s sleep typically encompasses four or five cycles. These light and deep stages are determined by our base brainwave activity rate, which is slow for deep sleep and faster in light sleep, closer to the very fast rate when we are awake. A “dumb” alarm clock erupting during deep sleep drags our brains immediately awake leaving us feeling groggy. We feel best when our alarm rouses us from light sleep. 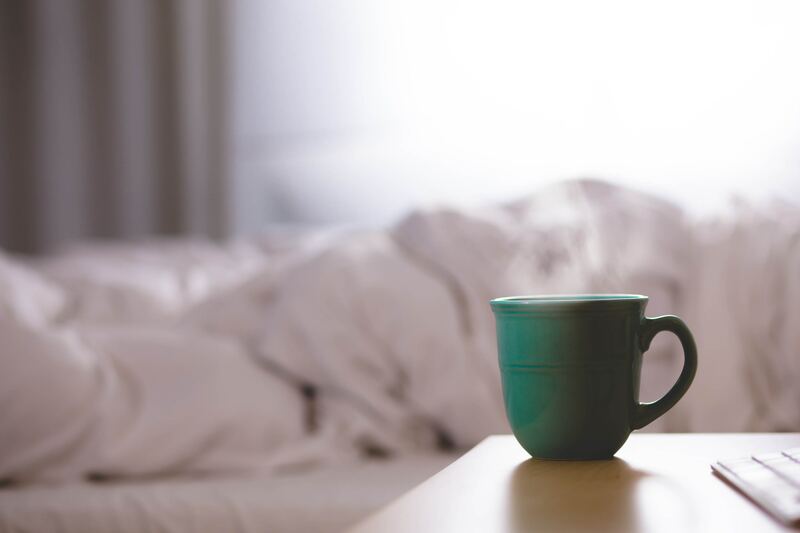 If you wake up every morning groggy and tired, it might be time to readjust your sleep schedule, perhaps going to bed 15 or 30 minutes earlier until you feel more refreshed. Changes in age, stress, health and many other things influence the amount of sleep we need. Even an old mattress can contribute to less restful sleep according to research, so be aware of your sleep environment too. “Difficulty waking in the morning may be associated with several factors. Quantity and quality of sleep can have a big impact on your ability to arise easily. If you do not get enough sleep on a routine basis (7-9 hours a night for an adult) you will be tired. Disrupted sleep, which is influenced by sleep disorders like sleep apnea or restless legs syndrome, or by your bed partner’s snoring, the sound from an unmuted television or mobile phone, pets or children tossing and turning in your bed, etc. can make it hard to wake. If difficulty falling asleep or staying asleep impacts your ability to feel rested during the day and incorporating healthy sleep habits isn’t helping, bring it up with your doctor. Things like sleep apnea, restless leg syndrome, and insomnia can have a significant affects on how you feel during the day, and often go undiagnosed. Do you rely on an alarm clock, or is your internal clock well-tuned? Share in the poll.